A Heljan 5002 Blue Circle Cement Cargo Waggon, in bright yellow and blue. 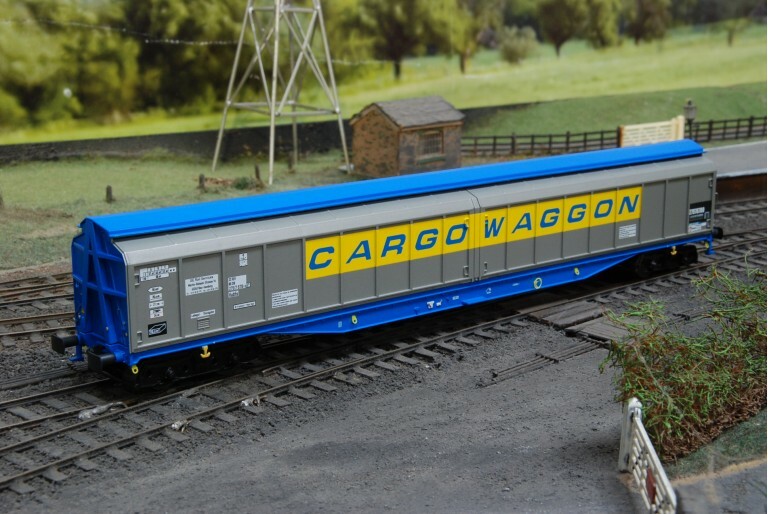 A detailed sliding door Ca..
A Heljan 5004 Cargo Waggon in silver and blue, there is no Cargo Waggon writing down the side o..
A Heljan 5003 Blue Circle Cement Cargo Waggon, in bright yellow and blue. 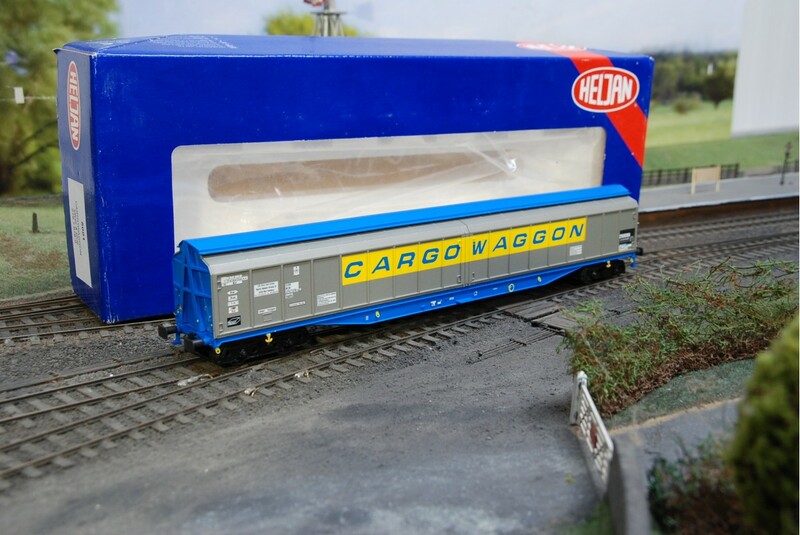 A detailed sliding door Ca.. 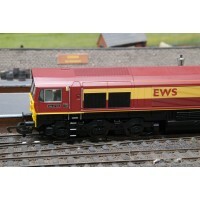 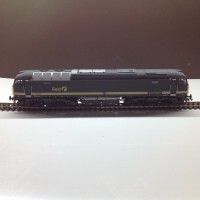 The Bachmann 37-325 is a 90T JGA hopper wagon, in Tilcon Quarry Products blue and grey livery from B..